Identification. Uzbeks likely take their name from a khan. A leader of the Golden Horde in the fourteenth century was named Uzbek, though he did not rule over the people who would share his name. Modern Uzbeks hail not only from the Turkic-Mongol nomads who first claimed the name, but also from other Turkic and Persian peoples living inside the country's borders. The Soviets, in an effort to divide the Turkic people into more easily governable subdivisions, labeled Turks, Tajiks, Sarts, Qipchaqs, Khojas, and others as Uzbek, doubling the size of the ethnicity to four million in 1924. Today the government is strengthening the Uzbek group identity, to prevent the splintering seen in other multiethnic states. Some people have assimilated with seemingly little concern. Many Tajiks consider themselves Uzbek, though they retain the Tajik language; this may be because they have long shared an urban lifestyle, which was more of a bond than ethnic labels. Others have been more resistant to Uzbekization. Many Qipchaqs eschew intermarriage, live a nomadic lifestyle, and identify more closely with the Kyrgyz who live across the border from them. The Khojas also avoid intermarriage, and despite speaking several languages, have retained a sense of unity. The Karakalpaks, who live in the desert south of the Aral Sea, have a separate language and tradition more akin to Kazakh than Uzbek. Under the Soviet Union, theirs was a separate republic, and it remains autonomous. Location and Geography. Uzbekistan's 174,330 square miles (451,515 square kilometers), an area slightly larger than California, begin in the Karakum (Black Sand) and Kyzlkum (Red Sand) deserts of Karakalpakistan. The arid land of this autonomous republic supports a nomadic lifestyle. Recently, the drying up of the Aral Sea has devastated the environment, causing more than 30 percent of the area's population to leave, from villages in the early 1980s and then from cities. This will continue; the area was hit by a devastating drought in the summer of 2000. Population increases to the east, centered around fertile oases and the valleys of the Amu-Darya River, once known as the Oxus, and the Zeravshan River, which supports the ancient city-states of Bokhara and Samarkand. The Ferghana Valley in the east is the heart of Islam in Uzbekistan. Here, where the country is squeezed between Tajikistan and Kyrgyzstan, the mountainous terrain supports a continuing nomadic lifestyle, and in recent years has provided a venue for fundamentalist guerrillas. Kazakhstan, Turkmenistan, and Afghanistan also border the country. In 1867 the Russian colonial government moved the capital from Bokhara to Tashkent. With 2.1 million people, it is the largest city in Central Asia. percent have left. In 1990, 260,000 Jews lived in Uzbekistan; 80 percent have left. Linguistic Affiliation. Uzbek is the language of about twenty million Uzbeks living in Uzbekistan, Tajikistan, Kyrgyzstan, and Kazakhstan. The language is Turkic and abounds with dialects, including Qarlug (which served as the literary language for much of Uzbek history), Kipchak, Lokhay, Oghuz, Qurama, and Sart, some of which come from other languages. Uzbek emerged as a distinct language in the fifteenth century. It is so close to modern Uyghur that speakers of each language can converse easily. Prior to Russian colonization it would often have been hard to say where one Turkic language started and another ended. But through prescribed borders, shifts in dialect coalesced into distinct languages. The Soviets replaced its Arabic script briefly with a Roman script and then with Cyrillic. Since independence there has been a shift back to Roman script, as well as a push to eliminate words borrowed from Russian. About 14 percent of the population—mostly non-Uzbek—speak Russian as their first language; 5 percent speak Tajik. Most Russians do not speak Uzbek. Under the Soviet Union, Russian was taught as the Soviet lingua franca, but Uzbek was supported as the indigenous language of the republic, ironically resulting in the deterioration of other native languages and dialects. Today many people still speak Russian, but the government is heavily promoting Uzbek. Symbolism. Symbols of Uzbekistan's independence and past glories are most common. The flag and national colors—green for nature, white for peace, red for life, and blue for water—adorn murals and walls. The twelve stars on the flag symbolize the twelve regions of the country. The crescent moon, a symbol of Islam, is common, though its appearance on the national flag is meant not as a religious symbol but as a metaphor for rebirth. The mythical bird Semurg on the state seal also symbolizes a national renaissance. Cotton, the country's main source of wealth, is displayed on items from the state seal to murals to teacups. The architectures of Samara and Bukhara also symbolize past achievements. Amir Timur, who conquered a vast area of Asia from his seat in Samarkand in the fourteenth century, has become a major symbol of Uzbek pride and potential and of the firm but just and wise ruler—a useful image for the present government, which made 1996 the Year of Amir Timur. Timur lived more than a century before the Uzbeks reached Uzbekistan. Independence Day, 1 September, is heavily promoted by the government, as is Navruz, 21 March, which highlights the country's folk culture. Emergence of the Nation. The Uzbeks coalesced by the fourteenth century in southern Siberia, starting as a loose coalition of Turkic-Mongol nomad tribes who converted to Islam. In the first half of the fifteenth century Abu al-Khayr Khan, a descendant of Genghis Khan, led them south, first to the steppe and semidesert north of the Syr-Daria River. At this time a large segment of Uzbeks split off and headed east to become the Kazakhs. In 1468 Abu'l Khayr was killed by a competing faction, but by 1500 the Uzbeks had regrouped under Muhammad Shaybani Khan, and invaded the fertile land of modern Uzbekistan. They expelled Amir Timur's heirs from Samarkand and Herat and took over the city-states of Khiva, Khojand, and Bokhara, which would become the Uzbek capital. Settling down, the Uzbeks traded their nomadism for urban living and agriculture. The first century of Uzbek rule saw a flourishing of learning and the arts, but the dynasty then slid into decline, helped by the end of the Silk Route trade. In 1749 invaders from Iran defeated Bokhara and Khiva, breaking up the Uzbek Empire and replacing any group identity with the division between Sarts, or city dwellers, and nomads. What followed was the Uzbek emirate of Bokhara and Samarkand, and the khanates of Khiva and Kokand, who ruled until the Russian takeover. Russia became interested in Central Asia in the eighteenth century, concerned that the British might break through from colonial India to press its southern flank. Following more than a century of indecisive action, Russia in 1868 invaded Bokhara, then brutally subjugated Khiva in 1873. Both were made Russian protectorates. In 1876, Khokand was annexed. All were subsumed into the Russian province of Turkistan, which soon saw the arrival of Russian settlers. The 1910s produced the Jadid reform movement, which, though short-lived, sought to establish a community beholden neither to Islamic dogma nor to Russian colonists, marking the first glimmer of national identity in many years. With the Russian Revolution in 1917 grew hopes of independence, but by 1921 the Bolsheviks had reasserted control. In 1924 Soviet planners drew the borders for the soviet socialist republics of Uzbekistan and Karakalpakistan, based around the dominant ethnic groups. In 1929 Tajikstan was split off from the south of Uzbekistan, causing lasting tension between the two; many Uzbeks regard Tajiks as Persianized Uzbeks, while Tajikstan resented Uzbekistan's retention of the Tajik cities of Bokhara and Samarkand. Karakalpakistan was transferred to the Uzbekistan SSR in 1936, as an autonomous region. Over the ensuing decades, Soviet leaders solidified loose alliances and other nationalities into what would become Uzbek culture. In August 1991 Uzbek Communists supported the reactionary coup against Soviet leader Mikhail Gorbachev. After the coup failed, Uzbekistan declared its independence on 1 September. Though shifting away from communism, President Islom Kharimov, who had been the Communist Party's first secretary in Uzbekistan, has maintained absolute control over the independent state. He has continued to define a single Uzbek culture, while obscuring its Soviet creation. National Identity. The Soviet government, and to a lesser extent the Russian colonial government that preceded it, folded several less prominent nationalities into the Uzbeks. The government then institutionalized a national Uzbek culture based on trappings such as language, art, dress, and food, while imbuing them with meanings more closely aligned with Communist ideology. Islam was removed from its central place, veiling of women was banned, and major and minor regional and ethnic differences were smoothed over in favor of an ideologically acceptable uniformity. Since 1991 the government has kept the Soviet definition of their nationhood, simply because prior to this there was no sense or definition of a single Uzbek nation. But it is literally excising the Soviet formation of the culture from its history books; one university history test had just 1 question of 850 dealing with the years 1924 to 1991. Ethnic Relations. The Soviet-defined borders left Uzbeks, Kyrgiz, Tajiks, and others on both sides of Uzbekistan. Since independence, tightening border controls and competition for jobs and resources have caused difficulties for some of these communities, despite warm relations among the states of the region. In June 1989, rioting in the Ferghana Valley killed thousands of Meskhetian Turks, who had been deported there in 1944. Across the border in Osh, Kyrgyzstan, the Uzbek majority rioted in 1990 over denial of land. There is official support of minority groups such as Russians, Koreans, and Tatars. These groups have cultural centers, and in 1998 a law that was to have made Uzbek the only language of official communication was relaxed. Nevertheless, non-Uzbek-speakers have complained that they face difficulties finding jobs and entering a university. As a result of this and of poor economic conditions, many Russians and others have left Uzbekistan. In ancient times the cities of Samarkand and Bokhara were regarded as jewels of Islamic architecture, thriving under Amir Timur and his descendants the Timurids. They remain major tourist attractions. During the Soviet period, cities became filled with concrete-slab apartment blocks of four to nine stories, similar to those found across the USSR. In villages and suburbs, residents were able to live in more traditional one-story houses built around a courtyard. These houses, regardless of whether they belong to rich or poor, present a drab exterior, with the family's wealth and taste displayed only for guests. Khivan houses have a second-story room for entertaining guests. Since independence, separate houses have become much more popular, supporting something of a building boom in suburbs of major cities. One estimate puts two-thirds of the population now living in detached houses. The main room of the house is centered around the dusterhon, or tablecloth, whether it is spread on the floor or on a table. Although there are not separate areas for women and children, women tend to gather in the kitchen when male guests are present. Each town has a large square, where festivals and public events are held. Parks are used for promenading; if a boy and a girl are dating, they are referred to as walking together. Benches are in clusters, to allow neighbors to chat. Food in Daily Life. Bread holds a special place in Uzbek culture. At mealtime, bread will be spread to cover the entire dusterhon. Traditional Uzbek bread, tandir non, is flat and round. It is always torn by hand, never placed upside down, and never thrown out. Meals begin with small dishes of nuts and raisins, progressing through soups, salads, and meat dishes and ending with palov, a rice-and-meat dish synonymous with Uzbek cuisine throughout the former Soviet Union; it is the only dish often cooked by men. Other common dishes, though not strictly Uzbek, include monti, steamed dumplings of lamb meat and fat, onions, and pumpkin, and kabob, grilled ground meat. Uzbeks favor mutton; even the nonreligious eschew pig meat. Because of their climate, Uzbeks enjoy many types of fruits, eaten fresh in summer and dried in winter, and vegetables. Dairy products such as katyk, a liquid yogurt, and suzma, similar to cottage cheese, are eaten plain or used as ingredients. Tea, usually green, is drunk throughout the day, accompanied by snacks, and is always offered to guests. Meals are usually served either on the floor, or on a low table, though high tables also are used. The table is always covered by a dusterhon. Guests sit on carpets, padded quilts, chairs, or beds, but never on pillows. Men usually sit cross-legged, women with their legs to one side. The most respected guests sit away from the entrance. Objects such as shopping bags, which are considered unclean, never should be placed on the dusterhon, nor should anyone ever step on or pass dirty items over it. The choyhona, or teahouse, is the focal point of the neighborhood's men. It is always shaded, and if possible located near a stream. The Soviets introduced restaurants where meals center around alcohol and can last through the night. 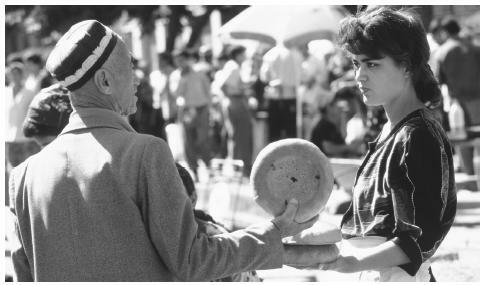 A vendor sells round loaves of bread called tandirnon to a customer at the Bibi Bazaar in Samarkand. 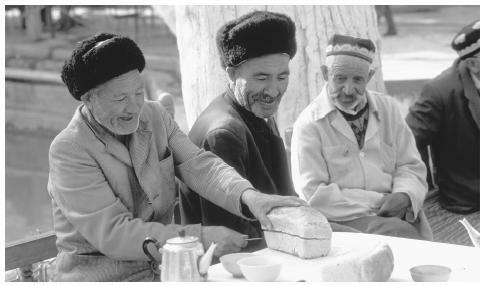 Bread is especially important in Uzbek culture. cabbage and meat soup, and a variety of fried or baked savory pastries. Food Customs at Ceremonial Occasions. Uzbeks celebrate whenever possible, and parties usually consist of a large meal ending with palov. The food is accompanied by copious amounts of vodka, cognac, wine, and beer. Elaborate toasts, given by guests in order of their status, precede each round of shots. After, glasses are diligently refilled by a man assigned the task. A special soup of milk and seven grains is eaten on Navruz. During the month of Ramadan, observant Muslims fast from sunrise until sunset. Basic Economy. The majority of goods other than food come from China, Turkey, Pakistan, and Russia. It is very common for families in detached homes to have gardens in which they grow food or raise a few animals for themselves, and if possible, for sale. Even families living in apartments will try to grow food on nearby plots of land, or at dachas. Land Tenure and Property. Beginning in 1992, Uzbekistanis have been able to buy their apartments or houses, which had been state property, for the equivalent of three months' salary. Thus most homes have become private property. Agricultural land had been mainly owned by state or collective farms during the Soviet period. In many cases the same families or communities that farmed the land have assumed ownership, though they are still subject to government quotas and government guidelines, usually aimed at cotton-growing. About two-thirds of small businesses and services are in private hands. Many that had been state-owned were auctioned off. While the former nomenklatura (government and Communist Party officials) often won the bidding, many businesses also have been bought by entrepreneurs. Large factories, however, largely remain state-owned. Major Industries. Uzbekistan's industry is closely tied to its natural resources. Cotton, the white gold of Central Asia, forms the backbone of the economy, with 85 percent exported in exchange for convertible currency. Agricultural machinery, especially for cotton, is produced in the Tashkent region. Oil refineries produce about 173,000 barrels a day. The Korean car maker Daewoo invested $650 million in a joint venture, UzDaewoo, at a plant in Andijan, which has a capacity of 200,000 cars. However, in 1999 the plant produced just 58,000 cars, and it produced far less in 2000, chiefly for the domestic market. With Daewoo's bankruptcy in November 2000, the future of the plant is uncertain at best. Trade. Uzbekistan's main trading partners are Russia, South Korea, Germany, the United States, Turkey, and Kazakhstan. Before independence, imports were mainly equipment, consumer goods, and foods. Since independence, Uzbekistan has managed to stop imports of oil from Kazakhstan and has also lowered food imports by reseeding some cotton fields with grain. Uzbekistan is the world's third-largest cotton exporter. Uzbekistan exported about $3 billion (U.S.), primarily in cotton, gold, textiles, metals, oil, and natural gas, in 1999. Its main markets are Russia, Switzerland, Britain, Belgium, Kazakhstan, and Tajikistan. Division of Labor. According to government statistics, 44 percent of workers are in agriculture and forestry; 20 percent in industry; 36 percent in the service sector. Five percent unemployed, and 10 percent are underemployed. Many rural jobless, however, may be considered agricultural workers. A particular feature of the Uzbekistan labor system is the requirement of school and university students, soldiers, and workers to help in the cotton harvest. They go en masse to the fields for several days to hand-pick cotton. Many Uzbeks, particularly men, work in other parts of the former Soviet Union. Bazaars from Kazakhstan to Russia are full of Uzbek vendors, who command higher prices for their produce the farther north they travel. Others work in construction or other seasonal labor to send hard currency home. About 2 percent of the workforce is of pension age and 1 percent is under sixteen. Classes and Castes. During the Soviet Union, Uzbekistani society was stratified not by wealth but by access to products, housing, and services. The nomenklatura could find high-quality consumer goods, cars, and homes that simply were unattainable by others. Since independence, many of these people have kept jobs that put them in positions to earn many times the $1,020 (U.S.) average annual salary reported by the United Nations. It is impossible to quantify the number of wealthy, however, as the vast majority of their income is unreported, particularly if they are government officials. Children walking home after school. As children grow older, school discipline increases. Many members of the former Soviet intelligentsia—teachers, artists, doctors, and other skilled service providers—have been forced to move into relatively unskilled jobs, such as bazaar vendors and construction workers, where they could earn more money. Urban residents tend to earn twice the salaries of rural people. Symbols of Social Stratification. As elsewhere in the former Soviet Union, the new rich tend to buy and show off expensive cars and limousines, apartments, and clothes and to go to nightclubs. Foreign foods and goods also are signs of wealth, as is a disdain for shopping in bazaars. Government. Uzbekistan is in name republican but in practice authoritarian, with Kharimov's Halq Tarakiati Partiiasi, or People's Democratic Party, controlling all aspects of governance. On 9 January 2000 he was reelected for a five-year term, with a 92 percent turnout and a 92 percent yes vote. Earlier, a March 1995 referendum to extend his term to 2000 resulted in a 99 percent turnout and a 99 percent yes vote. The legislature, Oliy Majlis, was inaugurated in 1994. At that time the ruling party captured 193 seats, though many of these candidates ran as independents. The opposition political movement Birlik, or Unity, and the party Erk, or Will, lack the freedom to directly challenge the government. Makhallas, or neighborhood councils of elders, provide the most direct governance. Some opinion polls have ranked makhallas just after the president in terms of political power. Makhallahs address social needs ranging from taking care of orphans, loaning items, and maintaining orderly public spaces, to sponsoring holiday celebrations. In Soviet times these were institutionalized, with makhalla heads and committees appointed by the local Communist Party. Then and now, however, makhallas have operated less smoothly in neighborhoods of mixed ethnicities. Leadership and Political Officials. The president appoints the head, or khokim, of each of Uzbekistan's 12 regions, called viloyatlars, and of Karakalpakistan and Tashkent, who in turn appoint the khokims of the 216 regional and city governments. This top-down approach ensures a unity of government policies and leads to a diminishing sense of empowerment the farther one is removed from Kharimov. Khokims and other officials were chiefly drawn from the Communist Party following independence—many simply kept their jobs—and many remain. Nevertheless, Kharimov has challenged local leaders to take more initiative, and in 1997 he replaced half of them, usually with public administration and financial experts, many of whom are reform-minded. Corruption is institutionalized at all levels of government, despite occasional prosecution of officials. Students, for example, can expect to pay bribes to enter a university, receive high grades, or be exempted from the cotton harvest. Social Problems and Control. The government has vigorously enforced laws related to drug trafficking and terrorism, and reports of police abuse and torture are widespread. The constitution calls for independent judges and open access to proceedings and justice. In practice, defendants are seldom acquitted, and when they are, the government has the right to appeal. Petty crime such as theft is becoming more common; violent crime is much rarer. Anecdotal evidence points to an increase in heroin use; Uzbekistan is a transshipment point from Afghanistan and Pakistan to Europe, and access is relatively easy despite tough antidrug laws. People are often reluctant to call the police, as they are not trusted. Instead, it is the responsibility of families to see that their members act appropriately. Local communities also exert pressure to conform. Military Activity. Uzbekistan's military in 2000 was skirmishing with the Islamic Movement of Uzbekistan, a militant group opposed to the secular regime, and numbering in the hundreds or thousands. Besides clashes in the mountains near the Tajikistani border, the group has been blamed for six car bombings in Tashkent in February 2000. Uzbekistan spends about $200 million (U.S.) a year on its military and has 150,000 soldiers, making it the strongest in the region. Most domestic nongovernmental organizations are funded and supported by the government, and all must be registered. Kamolot, registered in 1996, is the major youth organization, and is modeled on the Soviet Komsomol. Ekosan is an environmental group. The Uzbek Muslim Board has been active in building mosques and financing religious education. The Women's Committee of Uzbekistan, a government organization, is tasked with ensuring women's access to education as well as employment and legal rights, and claims three million members. The government also has set up quasi nongovernmental organizations, at times to deflect attention from controversial organizations. The Human Rights Society of Uzbekistan, for example, was denied registration from 1992 to 1997, before the government set up its own human rights monitor. The leaders of these groups may receive privileges once granted to the Soviet nomenklatura, such as official cars and well-equipped offices. There are no independent trade unions, though government-sponsored unions are common. The Employment Service and Employment Fund was set up in 1992 to address issues of social welfare, employment insurance, and health benefits for workers. Ironically, some truly independent organizations from the Soviet period, such as the Committee to Save the Aral Sea, were declared illegal in 1994. Social groups associated with Birlik also have been denied registration. 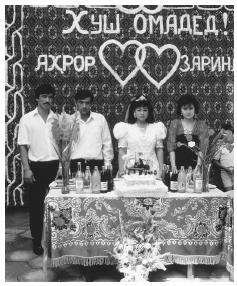 Weddings are very important in Uzbek culture, as the family is the center of society. to assist Uzbekistan. The International Monetary Fund is pushing hard for convertibility before it gives further assistance. The U.S. Agency for International Development in 2000 said it was hesitant to assist the government in any sectors other than health, as the government was smothering economic reform. Division of Labor by Gender. Before the Soviet period, men worked outside the house while women did basic domestic work, or supplemented the family income by spinning, weaving, and embroidering with silk or cotton. From the 1920s on, women entered the workforce, at textile factories and in the cotton fields, but also in professional jobs opened to them by the Soviet education system. They came to make up the great majority of teachers, nurses, and doctors. Family pressure, however, sometimes kept women from attaining higher education, or working outside the home. With independence, some women have held on to positions of power, though they still may be expected to comport themselves with modesty. Men in modern Uzbekistan, though, hold the vast majority of managerial positions, as well as the most labor-intensive jobs. It is common now for men to travel north to other former Soviet republics to work in temporary jobs. Both sexes work in bazaars. The Relative Status of Women and Men. Uzbekistan is a male-dominated society, particularly in the Ferghana Valley. Nevertheless, women make up nearly half the workforce. They hold just under 10 percent of parliamentary seats, and 18 percent of administrative and management positions, according to U.N. figures. Women run the households and traditionally control the family budgets. When guests are present they are expected to cloister themselves from view. In public women are expected to cover their bodies completely. Full veiling is uncommon, though it is occasionally practiced in the Ferghana Valley. Women often view this as an expression of their faith and culture rather than as an oppressive measure. Marriage. Uzbek women usually marry by twenty-one; men not much later. Marriage is an imperative for all, as families are the basic structure in society. A family's honor depends on their daughters' virginity; this often leads families to encourage early marriage. In traditional Uzbek families, marriages are often still arranged between families; in more cosmopolitan ones it is the bride and groom's choice. Either way, the match is subject to parental approval, with the mother in practice having the final word. Preference is given to members of the kin group. There is particular family say in the youngest son's choice, as he and his bride will take care of his parents. People tend to marry in their late teens or early twenties. Weddings often last for days, with the expense borne by the bride's family. The husband's family may pay a bride price. Polygamy is illegal and rare, but it is not unknown. Following independence, divorce has become more common, though it is still rare outside of major cities. It is easier for a man to initiate divorce. Domestic Unit. Uzbek families are patriarchal, though the mother runs the household. The average family size is five or six members, but families of ten or more are not uncommon. 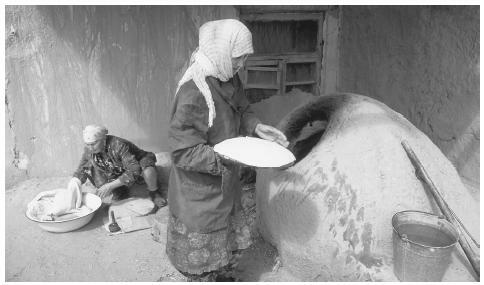 A woman places flat bread dough in an oven, while another woman folds dough in a large bowl, Old Town, Khiva. Families are patriarchal, but mothers run the households. for his parents. Sons typically receive twice as large a share as daughters, though this can vary. Kin Groups. Close relations extends to cousins, who have the rights and responsibilities of the nuclear family and often are called on for favors. If the family lives in a detached house and there is space, the sons may build their homes adjacent to or around the courtyard of the parents' house. Infant Care. Uzbek babies are hidden from view for their first forty days. They are tightly swaddled when in their cribs and carried by their mothers. Men generally do not take care of or clean babies. Child Rearing and Education. Children are cherished as the reason for life. The mother is the primary caretaker, and in case of divorce, she will virtually always take the children. The extended family and the community at large, however, also take an interest in the child's upbringing. When children are young, they have great freedom to play and act out. But as they get older, particularly in school, discipline increases. A good child becomes one who is quiet and attentive, and all must help in the family's labor. All children go to school for nine years, with some going on to eleventh grade; the government is increasing mandatory education to twelve years. Higher Education. Enrollment in higher-education institutions is about 20 percent, down from more than 30 percent during the Soviet period. A major reason for the decline is that students do not feel a higher education will help them get a good job; also contributing is the emigration of Russians, and declining standards related to budget cutbacks. Nevertheless, Uzbeks, particularly in cities, still value higher education, and the government gives full scholarships to students who perform well. Men typically greet each other with a handshake, the left hand held over the heart. Women place their right hand on the other's elbow. If they are close friends or relatives, they may kiss each other on the cheeks. If two acquaintances meet on the street, they will usually ask each other how their affairs are. If the two don't know each other well, the greeting will be shorter, or could involve just a nod. Women are expected to be modest in dress and demeanor, with clothing covering their entire body. In public they may walk with their head tilted down to avoid unwanted attention. In traditional households, women will not enter the room if male guests are present. Likewise, it is considered forward to ask how a man's wife is doing. Women generally sit with legs together, their hands in their laps. When men aren't present, however, women act much more casually. People try to carry themselves with dignity and patience, traits associated with royalty, though young men can be boisterous in public. People tend to dress up when going out of the house. Once home they change, thus extending the life of their street clothes. Religious Beliefs. Uzbeks are Sunni Muslims. The territory of Uzbekistan has been a center of Islam in the region for a thousand years, but under the Soviet Union the religion was heavily controlled: mosques were closed and Muslim education was banned. Beginning in 1988, Uzbeks have revived Islam, particularly in the Ferghana Valley, where mosques have been renovated. The call to prayer was everywhere heard five times a day before the government ordered the removal of the mosques' loudspeakers in 1998. The state encourages a moderate form of Islam, but Kharimov fears the creation of an Islamic state. Since the beginning of the Islamic Movement of Uzbekistan's terror campaign in February 1999, he has cracked down even further on what he perceives as extremists, raising claims of human rights abuses. The government is particularly concerned about what it labels Wahhabism, a fundamentalist Sunni sect that took hold in the Ferghana Valley following independence. Nine percent of the population is Russian Orthodox. Jews, Baptists, Roman Catholics, Lutherans, Seventh-Day Adventists, evangelical and Pentecostal Christians, Buddhists, Baha'is, and Hare Krishnas also are present. Religious Practitioners. Most Sunni Uzbeks are led by a state-appointed mufti. Independent imams are sometimes repressed, and in May 1998, a law requiring all religious groups to register with the government was enacted. In addition to leading worship, the Muslim clergy has led mosque restoration efforts and is playing an increasing role in religious education. Death and the Afterlife. Uzbeks bury their deceased within twenty-four hours of death, in above-ground tombs. At the funeral, women wail loudly and at specific times. The mourning period lasts forty days. The first anniversary of the death is marked with a gathering of the person's friends and relatives. Muslims believe that on Judgment Day, each soul's deeds will be weighed. They will then walk across a hair-thin bridge spanning Hell, which leads to Paradise. The bridge will broaden under the feet of the righteous, but the damned will lose their balance and fall. Current health practices derive from the Soviet system. Health care is considered a basic right of the entire population, with clinics, though ill-equipped, in most villages, and larger facilities in regional centers. Emphasis is on treatment over prevention. Yet the state health care budget—80 million dollars in 1994—falls far short of meeting basic needs; vaccinations, for example, fell off sharply following independence. Exacerbating the situation is a lack of potable water, industrial pollution, and a rise in infectious diseases such as tuberculosis. Perhaps the most common traditional health practices are shunning cold drinks and cold surfaces, which are believed to cause colds and damage to internal organs, and avoiding drafts, or bad winds. Folk remedies and herbal treatments also are common. An example is to press bread to the ailing part of the body. The sick person then gives a small donation to a homeless person who will agree to take on his or her illness. The major secular holidays are New Year's Day (1 January); Women's Day (8 March), a still popular holdover from the Soviet Union, when women receive gifts; Navrus (21 March), originally a Zoroastrian holiday, which has lost its religious significance but is still celebrated with Sumaliak soup, made from milk and seven grains; Victory Day (9 May), marking the defeat of Nazi Germany; and Independence Day (1 September), celebrating separation from the Soviet Union. A man cuts bread in a choyhana, or tea house. The tea house is the central gathering place for Uzbek men. Uzbeks typically visit friends and relatives on holidays to eat large meals and drink large amounts of vodka. Holidays also may be marked by concerts or parades centered on city or town squares or factories. The government marks Independence Day and Navrus with massive outdoor jamborees in Tashkent, which are then broadcast throughout the country, and places of work or neighborhoods often host huge celebrations. Support for the Arts. During the Soviet period, the government gave extensive support to the arts, building cultural centers in every city and paying the salaries of professional artists. With independence, state funding has shrunk, though it still makes up the bulk of arts funding. Many dance, theater, and music groups continue to rely on the state, which gives emphasis to large productions and extravaganzas, controls major venues, and often has an agenda for the artists to follow. Other artists have joined private companies who perform for audiences of wealthy business-people and tourists. Some money comes in from corporate sponsorship and international charitable organizations—for example UNESCO and the Soros Foundation's Open Society Institute. Yet many artists have simply been forced to find other work. Literature. The territory of Uzbekistan has a long tradition of writers, though not all were Uzbek. The fifteenth-century poet Alisher Navoi, 1441–1501, is most revered; among his works is a treatise comparing the Persian and Turkish languages. Abu Rayhan al-Biruni, 973–1048, born in Karakalpakistan, wrote a massive study of India. Ibn Sina, also known as Avicenna, 980–1037, wrote The Cannon of Medicine. Omar Khayyam, 1048–1131, came to Samarkand to pursue mathematics and astronomy. Babur, 1483–1530, born in the Ferghana Valley, was the first Moghul leader of India, and wrote a famous autobiography. Until the twentieth century, Uzbek literary tradition was largely borne by bakshi, elder minstrels who recited myths and history through epic songs, and otin-oy, female singers who sang of birth, marriage and death. The Jadids produced many poets, writers, and playwrights. These writers suffered greatly in the Stalinist purges of the 1930s. Later the Soviet Union asked of its writers that they be internationalists and further socialist goals. Abdullah Qahhar, 1907–1968, for example, satirized Muslim clerics. But with the loosening of state control in the 1980s, a new generation of writers renewed the Uzbek language and Uzbek themes. Many writers also were active in Birlik, which started as a cultural movement but is now suppressed. Graphic Arts. Uzbekistan has begun a revival of traditional crafts, which suffered from the Soviet view that factory-produced goods were superior to handicrafts. Now master craftsmen are reappearing in cities such as Samarkand and Bukhara, supported largely by foreign tourists. Miniature painting is narrative in character, using a wide palette of symbols to tell their stories. They can be read from right to left as a book, and often accompany works of literature. Wood carving, of architectural features such as doors and pillars and of items such as the sonduq, a box given to a bride by her parents, also is regaining a place in Uzbek crafts. Ikat is a method of cloth dying, now centered in the Yordgorlik Silk Factory in Margilan. Silk threads are tie-dyed, then woven on a loom to create soft-edged designs for curtains, clothing, and other uses. Performance Arts. Uzbek music is characterized by reedy, haunting instruments and throaty, nasal singing. It is played on long-necked lutes called dotars, flutes, tambourines, and small drums. It developed over the past several hundred years in the khanates on the territory of modern Uzbekistan, where musicians were a central feature of festivals and weddings. The most highly regarded compositions are cycles called maqoms. Sozandas, sung by women accompanied by percussion instruments, also are popular. In the 1920s, Uzbek composers were encouraged, leading to a classical music tradition that continues today. Modern Uzbek pop often combines elements of folk music with electric instruments to create dance music. Uzbek dance is marked by fluid arm and upper-body movement. Today women's dance groups perform for festivals and for entertainment, a practice started during the Soviet period. Earlier, women danced only for other women; boys dressed as women performed for male audiences. One dance for Navruz asks for rain; others depict chores, other work, or events. Uzbek dance can be divided into three traditions: Bokhara and Samarkand; Khiva; and Khokand. The Sufi dance, zikr, danced in a circle accompanied by chanting and percussion to reach a trance state, also is still practiced. Uzbekistan's theater in the twentieth century addressed moral and social issues. The Jadidists presented moral situations that would be resolved by a solution consistent with Islamic law. During the Soviet period dramatists were sometimes censored. The Ilkhom Theater, founded in 1976, was the first independent theater in the Soviet Union. Admission to cultural events is kept low by government and corporate sponsorship. It also has become common for dancers to perform for groups of wealthy patrons. Uzbekistan has several higher-education institutions, with departments aimed at conducting significant research. Funding, however, has lagged since independence. The goal of the Academy of Sciences in Tashkent is practical application of science. It has physical and mathematical, chemicalbiological, and social sciences departments, with more than fifty research institutions and organizations under them. Adams, Laura L. "What Is Culture? Schemas and Spectacles in Uzbekistan." Anthropology of East Europe Review 16 (2): 65–71, 1998. Ali, Muhammad. "Let Us Learn Our Inheritance: Get to Know Yourself." AACAR Bulletin 2 (3): 3–18, 1989. Allworth, Edward A. The Modern Uzbeks: From the Fourteenth Century to the Present; A Cultural History, 1990. Freedom House 2000. Freedom in the World, The Annual Survey of Political Rights and Civil Liberties, 1999–2000: Uzbekistan Country Report, 2000. Griffin, Keith. Issues in Development Discussion Paper 13: The Macroeconomic Framework and Development Strategy in Uzbekistan, 1996. Human Rights Watch. Human Rights Watch World Report 2000: Uzbekistan, 2000. Jukes, Geoffrey J.; Kirill Nourzhanov, and Mikhail Alexandrov. 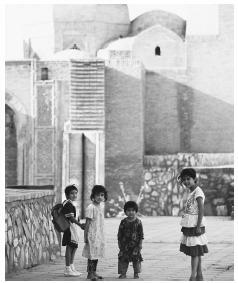 Race, Religion, Ethnicity and Economics in Central Asia, 1998. Kalter, Johannes, and Margareta Pavaloi. 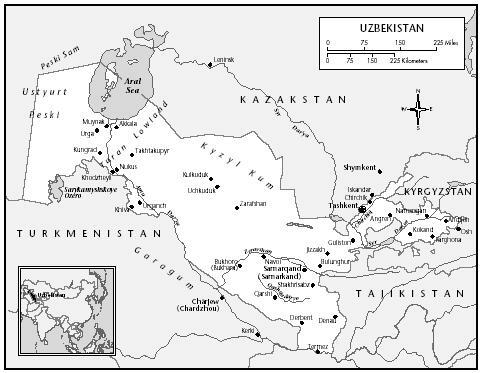 Uzbekistan: Heirs to the Silk Road, 1997. Khan, Azizur Rahman. Issues in Development Discussion Paper 14: The Transition of Uzbekistan's Agriculture to a Market Economy, 1996. Kharimov, Islom A. Uzbekistan on the Threshold of the Twenty-first Century: Challenges to Stability and Progress, 1998. Nazarov, Bakhtiyar A., and Denis Sinor. Essays on Uzbek History, Culture, and Language, 1993. Nettleton, Susanna. "Uzbek Independence and Educational Change," Central Asia Monitor 3, 1992. Paksoy, H. B. "Z. V. Togan: The Origins of the Kazaks and the Ozbeks," Central Asian Survey 11 (3), 1992. Prosser, Sarah. "Reform Within and Without the Law: Further Challenges for Central Asian NGOs," Harvard Asia Quarterly, 2000. Schoeberlein-Engel, John. "The Prospects for Uzbek National Identity," Central Asia Monitor 2, 1996. "Tamerlane v. Marx;" Bulletin of the Atomic Scientists 50 (1), 1994. U.N. Development Project. Human Development Report: Uzbekistan 1997, 1997. UNESCO, Education Management Profile: Uzbekistan, 1998. U.S. Department of State. Background Notes: Uzbekistan , 1998. U.S. Department of State, Central Intelligence Agency. The CIA World Factbook , 2000. U.S. Library of Congress. Kazakstan, Kyrgyzstan, Tajikistan, Turkmenistan and Uzbekistan: Country Studies, 1997. I am Uzbek. I live in old part of Tashkent city. I have liked this material. It helped me to prepare my presentation. I thought that there is no any information about Uzbek culture in English. The most of this information is correct. Thank you very much. I am preparing a presentation on artist Zinaida Kovalevskaya. She was named People's Artist of Uzbekistan in 1964. It has been very difficult finding information about her and her work. Your article has helped me understand the context in which she worked. She has a gallery in the Tashkent museum, but I am unable to locate the information on the web. Thank you for sharing your knowledge and article with us. It is appreciated! Thanks for this great information, it really hepled me to prepare a presentation about Uzbekistan. I searched a lot, but this information fits best!! And I hope that everyone in my class from other countries will enjoy it, and would like to visit Uzbekistan as soon as possible. Thanks for sharing with us such a wonderful information and articles about Uzbekistan. This was such a help putting together a culture project for my sociology class. Yes, information written very interesting, But they are chosen only poor pictures of Uzbekistan. Im doing a project for school on Uzbekistan, and other sites did not supply me nearly the amount of information this site has offered me. Now I am quite certain I will get the appropriate grade I deserve using this information. ALothough I will not copy it becuase, of course that is illegal in America. But instead I will use this vast knowledge as the grounds for my essay. Thank you very much now I feel as if I've actually lived in Uzbekistan. Hello, thanks for this information it's very interesting. My girlfriend is Uzbek and I was wondering how would be our childrens' lastname? In Hispanic tradition we have two lastnames: one from the father one from the mother but if we go abroad, let's the the UK,children would have both from the fater since they see at as a single one. Hi, my name is Dilafruz. I am Uzbek. I am proud of this. I liked this site very much. Beceuse people who want to know about our country can get any information here. But I think you should change some photos because they describe only our history. Nowadays there are many sightseeing places in our country. And I think it will be interesting for foreigners. In ny case, thank you very much. You did good job! Hello, can anyone let me know how i can purchase Uzbekistan traditional hat/cap for men. I am currently reside in California USA. Your help is greatly appreciated. I love their hand made hats. Alsalamu alikom, this information is very useful. i'm doing a course in cross-culture and im going to make a research and presentation about uzbakistan. I would be grateful if somebody can advise me from where i can get a book or video saying about Uzbekistan in details. I am a tajik and I want to marry an uzbek girl and I see many things that are the same except for the fact that our languages are different which is the only difference. What I also fin amusing is the fact that they drink vodka? It's an alcoholic drink is it not haram? Hello! I am a Filipina and my boyfriend is an Uzbek, glad to read this article because it helps me a lot to know more about my boyfriend's culture and tradition. Hi, I am Filipina having an Uzbek boyfriend.. Our situation is quite hard as we don't have the same nationality.. We wanted to take our relationship into "next" level, but both of us are thinking if I could live in their country like settled.. I myself, to be honest, isn't sure too.. But I do love him, we do love each other.. Please, I need some advise/help to enlighten and lift me up.. Thank you and more power to this site! My bf is from Uzbek and we have the same traditions and culture. we both live in the USA and the only difference is langauge but i'm afraid that one of my friend told me that they can't marry someone other than uzbekistanian. he really follows his parents? what should i do? About vodka the author gave somewhat wrong information. Actually, a real muslim uzbeks absolutely don't drink it. I'm not from Uzbek..but my grandfather came from there.. I would love to see this city...Hows the system their with respect to foreigners?...Tell me some good things and few bad things about the city particularly from Bokhara. I am in US for long time now. Hows the culture and things...mail me in details.. I have a friend in Tashkent (woman) I live in the US , can mail be sent from here to there? Our languages our about 50/50 were trying to understand each other need a good translater, is english language some what common there? Hi I am Indian and am planning to settle with a Uzbek lady as my life partner. I am happy to read this article. This is really a very good article to understand each and every aspect of Uzbekistan. Hello! I want to know why an uzbek man can not marry the second wife only the first wife,and why the first wife can only use his husband family name, i need an answer please, because we have a daughter. ASSALOM ALEYKUM Everyone! Today I got the more information about my Motherland. And, about our national culture. I'm so happy and so proud with my country. Because I was born in Capital of UZBEKISTAN, TASHKENT city. Hello everyone.My name is Sobir. I am from Uzbekistan.I read this information about my country. It helped me for make ppt of Uzbekistan's culture. I hope my ppt is perfect with this information. Thanks. I very happy to info uzbek culture and more info . So Uzbekistan culture has deeply history .in my summaries uzbek people is very hospitality. Very usefull information. I like it thank you sir. Hi there! im Rozi, and im adopted. My birth mother iz uzbek, and father russian. Im in Italy from 1995 year. Im proud of uzbek and russian. Uzbeks are so good people. Especially their tradition is the most beautiful. Some sides their tradition similar as Korean traditions. I Love this country. Probably it's the only adequate website. Since I've been searching for Uzbek bringing up features and couldn't fine anything. Moreover, being Uzbek (well actually half Uzbek, half Tajik) I'm in shock from reading all the information given on the internet, seems like smth between sciencefiction and horror. But I have nothing to complain in here. hey guys my name's Sherzod. I'm from Uzbekistan. Thank you so much I really needed this kind of information because after few days I have presentation.